At the September 29 meeting of the United Nations Human Rights Council, Paraguay led 29 countries, including the U.S. and the U.K., in presenting a statement that reiterated their “commitment to assist, within the framework of international law, to ensuring that Venezuelans fully enjoyed their civil, political, economic, social, and cultural rights. The disposition of the Holy See to contribute to facilitating dialogue was welcomed. Concern was expressed at reports of repression of the voices of the opposition and excessive force used against peaceful protesters and journalists.” The statement also urged all parties in Venezuela to hold a “timely and effective dialogue,” either directly or via facilitators, “to preserve peace and safety, to ensure the full respect of human rights, due process, the separation of powers and the consolidation of a representative democracy” and to release political prisoners. Any casual observer from the U.S. and elsewhere should know that Venezuela has been experiencing exceedingly difficult economic and political problems and that most of its people are desperate for food and other essentials. Its government’s attempt to gain international support by calling and hosting a sparsely attended Summit of the Non-Aligned Movement, as discussed in a prior post, was an embarrassing failure. U.N. Hum. Rts. Council, Human Rights Council holds general debate on technical assistance and capacity building in the field of human rights (Sept. 29, 2016); Reuters, Venezuela Urged at U.N. to Seek National Dialogue, Free Inmates, N.Y. Times (Sept. 29, 2016). Zeid’s global human rights update, U.N. Hum. Rts. Council (Sept. 13, 2016). Most of the editorial is devoted to discussing the many problems of the Cuban economy. The 1959 Cuban Revolution’s “[c]ommunism brought an ever more anemic and backward economy, one propped up largely by Moscow. But after the Soviet Union collapsed in 1991, so did Cuba’s economy.” After that collapse, Cuba found Venezuela as a “new benefactor” that provided “heavily subsidized oil” to the island, but now that country’s “worsening economic and political crisis” threatens that subsidy. Low wages and poor prospects have forced many Cubans to leave the island “in recent years in search of a better life.” This could be accelerated by the elimination of the country’s two-currency system, which the government plans to do. “The country’s birthrate is declining, while its elderly are living longer.” Couple these facts with the exodus of working-age citizens presents Cuba with an enormous demographic challenge. I concur in the Times’ call for ending the U.S. designation of Cuba as a “State Sponsor of Terrorism.” It is an unfounded, stupid, absurd action that is only counter-productive as has been argued in posts in 2010, 2011, 2012 (with supplement), 2013 and 2014. But I do not see ending this policy as the linchpin for the U.S.’ helping the Cuban economy. Instead it is ending the embargo, which the Times on October 11th recommended, but which is not mentioned in the latest editorial. First, the Cuban economy by itself is obviously unable to afford to purchase the many commodities that presumably will be unloaded from the new super-container ships that will be able to cross the expanded Panama Canal. Second, for the commodities to go elsewhere will require the unloading of the super-container ships at Mariel and then reloading those commodities in smaller container vessels to go to the major countries on the northern and eastern sides of the South American continent: Venezuela, Brazil, Argentina, Uruguay and Paraguay. How big are those markets? Third, presumably the major Latin American countries with coasts on the Pacific Ocean like Mexico, El Salvador, Costa Rica, Colombia, Ecuador, Peru and Chile will not be markets for commodities transshipped from Mariel. Fourth, unless there is U.S.-Cuba reconciliation, the largest potential market for such transshipment, the U.S., presumably would not be importing commodities from the Mariel port. Similar skepticism about Cuba’s ability to attract foreign investment for other reasons have been voiced by foreign investment experts. The Inter-American Dialogue, which is the leading U.S. center for policy analysis, exchange, and communication on Western Hemisphere affairs, has provided the following four such skeptics. On November 17th the New York Times published another editorial in its series urging changes in U.S. policies regarding Cuba. Under the title “A Cuban Brain Drain, Courtesy of the U.S.,” the editorial targets the U.S.’s Cuban Medical Professional Parole Program (CMPPP). In order to understand the editorial, we first must look at the Cuban government’s policy and program of sending Cuban medical personnel to other countries and then at the CMPPP’s response to that Cuban program. Thereafter we will examine the Times’ rationale for its recommendation along with the arguments for the Wall Street Journal’s support of the CMPPP before we voice our conclusions. Again, according to the same Wall Street Journal article, Cuban doctors often desire such overseas assignments because they provide opportunities to earn significantly more money than at home. “When serving overseas, they get their Cuban salaries [of $25 per month], plus a $50-per-month stipend—both paid to their dependents while they’re abroad. . . . In addition, they themselves receive overseas salaries—from $150 to $1,000 a month, depending on the mission.” Many on-the-side also engage in private fee-for-service medical practice, including abortions. As a result, many of the Cubans are able to save substantial portions of their overseas income, which they often use to purchase items they could not have bought in Cuba like television sets and computers. Other desirable purchases are less expensive U.S. products that they can sell at a profit when they return to Cuba. As a result of this quid pro quo, Cuba has over 10,000 medical personnel serving in Venezuela. According to the Los Angeles Times just this past September, the working conditions in that country for the Cubans are horrible. Many of the clinics lack air-conditioning and functioning essential medical equipment. The Cubans’ workload is often “crushing.” Common crime is rampant, and the Cubans are often caught in the middle of Venezuela’s civil unrest between followers of the late Hugo Chavez who want the Cubans to be there and more conservative forces that oppose the Cuban presence. As a result, as we will see below in the discussion of CMPPP, many Cuban medical personnel serving in Venezuela have chosen to defect to the U.S. under CMPP. Under the program “Cuban Medical Professionals” (i.e., health-care providers such as doctors, nurses, paramedics, physical therapists, lab technicians and sports trainers) are eligible if they meet the following criteria: (1) Cuban nationality or citizenship, (2) medical professional currently conscripted to study or work in a third country under the direction of the Government of Cuba, and (3) not otherwise ineligible for entry into the U.S. Spouses and/or minor children are also eligible for such parole. According to the Times’ editorial and the Wall Street Journal, the program “was the brainchild of Cuban-born Emilio González,” a former U.S. Army colonel, the director of the U.S. Citizen & Immigration Services from 2006 to 2008 and a “staunchly anti-Castro exile.” “He has characterized Cuba’s policy of sending doctors and other health workers abroad as ‘state-sponsored human trafficking.’” The Cuban doctors, he says, work directly for health authorities in other countries and have no say in their assignments. Given the large numbers of Cuban medical personnel that are sent to Venezuela to help pay for Cuba’s importation of Venezuelan oil, it is not surprising that the largest number of defections of Cubans has been from that country. As of the end of FY 2010, according to the previously mentioned Wall Street Journal article, the total defections by country were the following: Venezuela, 824; Colombia, 291; Bolivia, 60; Dominican Republic, 30; Ecuador, 28; Guatemala, 25; Brazil, 21; Namibia, 21; Peru, 19; and Guyana, 14. Apparently the largest number of defections from Venezuela continues in light of the previously mentioned difficult working conditions. For FY 2011-2014 there were an additional 1,181 Cuban defections from Venezuela to the U.S. under CMPPP for a grand total of 2,005. In addition, many of the Cubans in that country fear being seen going to the U.S. embassy in Caracas and instead fly to neighboring Colombia and apply there for CMPPP. Another obvious reason for such defections under CMPP is the desire of the Cubans to earn more income in the U.S. I have met a Cuban neurologist whose wife was a skilled nurse, but who worked as a waitress in a nearby resort in order to earn more income and obtain tips in hard currencies. Like almost all Cubans, they did not earn enough to afford to have their own automobile and told me about Cuban television announcements that people who had an automobile or other vehicle had a special obligation to give rides to anyone in a white coat. Later while on a mission in Central America they defected to the U.S. under CMPPP. At least as I heard their story, they were merely looking for a way to improve their lives financially. The creation of CMPP was really motivated by a desire by anti-Castro Americans “to strike at the core of the island’s primary diplomatic tool, while embarrassing the Castro regime.” This is hardly a worthy motivation for the U.S.
For a poor country like Cuba, it makes sense to use one of its few economic strengths to bolster its foreign exchange earnings. Is this not an example of the concept of comparative advantage first formulated by classical economists Adam Smith and David Ricardo? The program also helps Cuba garner good will around the world for helping to improve the health of others. There is no legitimate reason for the U.S. to be opposed to such a program. Her argument centers on the Cuban government’s being paid for these services by other countries like Venezuela or by international organizations like WHO and the government’s paying its medical personnel only some of the Cuban government’s revenues for their services. But this ignores the fact that any corporation or other business entity that sells services, pays the people who actually provide the service less than what is collected by the corporation because there are other cost factors that have to be covered plus a profit. When the CMPPP was created in 1966, Cuba’s government prohibited its medical personnel from leaving the island, and one of CMPP’s original rationales was providing a legitimate way to provide them with a way to leave Cuba and go elsewhere. Now, however, the Cuban government permits such citizens to leave. This change, in this blogger’s opinion, eliminates the only arguably legitimate basis for CMPPP. The allegation by some supporters of CMPP that Cuba’s practice of sending medical teams to other countries is a form of human trafficking is absurd, in this blogger’s opinion. The Cuban government has paid for all of the education of its medical personnel, and sending some of them to serve in foreign countries is a way for them to compensate the state for their free education. This Cuban practice is like the U.S. practice during some wars of having a selective service system and drafting some people to serve in our armed forces. Similarly we in the U.S. from time to time have debated having some kind of required national non-military service program for younger citizens without anyone arguing that it would be illegal human trafficking. This blogger, therefore, supports the Times’ calling for an end to CMPPP. Under the overall title of “Cuba: A New Start,” the prior editorials (all of which are simultaneously published in Spanish) have urged overall reconciliation between the two countries, including ending the ending of the U.S. embargo of the island, the U.S. designation of Cuba as a “State Sponsor of Terrorism” and re-establishing normal diplomatic relations; U.S.-Cuba collaboration in combatting Ebola in West Africa; recognizing changing U.S. public opinion on relations with Cuba; U.S.-Cuba exchange of prisoners; and ending USAID covert programs to promote regime change in Cuba. Another issue unrelated to CMPPP is whether or not the services provided by the Cuban medical personnel meet the professional standards of the country where they serve. A South American ophthalmologist has told this blogger that she frequently has been called to fix problems created by Cuban doctors on such missions, but this blogger has no information about any comprehensive study of this issue. The program’s stated statutory authorization is INA section 212(d)(5)(A), 8 U.S.C. 1182(d)(5)(A) (permits parole of an alien into the United States for urgent humanitarian reasons or significant public benefit); 8 CFR 212.5(c) & (d) (discretionary authority for granting parole), whereby the U.S. Citizenship and Immigration Services (USCIS) may exercise its discretionary parole authority to permit eligible Cuban nationals to come to the United States. This calculation is based upon a November 9, 2014, article in Venezuela’s El Universal newspaper. Tier 3 is a U.S.-created category of countries that the U.S. asserts “do not fully comply with [a U.S. statute’s] minimum standards and are not making significant efforts to do so”. The U.S. Alien Tort Statute (ATS) was originally enacted in 1789 and was virtually unused through 1979. This changed in 1980 when the U.S. Court of Appeals for the Second Circuit in New York City decided a case, Filartiga v. Pena-Irala. The facts giving rise to the case arose in Paraguay in 1976. Dr. Joel Filartiga was well-known in his country as a physician, painter and opponent of his country’s dictator, General Alfredo Stroessner. In March of that year, Filartiga’s 17-year-old son Joelito was kidnapped, tortured and killed. In the middle of the night of the abduction, Joelito’s sister, Dolly, was forced out of the house to go view the mutilated body of her brother. All of these horrendous acts allegedly were committed by Americo Norberto Pena-Irala, who was a police official in the city where the Filartiga family lived. 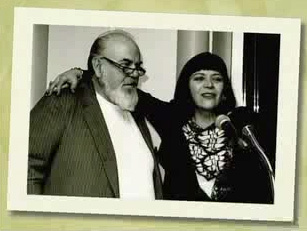 In 1978 Dolly Filartiga, who was living in New York City, learned that Pena-Irala also was in the City. With the assistance of the Center for Constitutional Rights she commenced a civil lawsuit for money damages under the ATS in U.S. federal court on behalf of herself and her father against Pena-Irala. The complaint alleged that as a police inspector general in Paraguay he had kidnapped and tortured to death Joelito Filartiga in violation of international law. The district court, however, dismissed the complaint for lack of subject-matter jurisdiction. On appeal and at the request of the Second Circuit Court of Appeals, the Carter Administration’s Department of Justice advised the court that the universal and fundamental prohibition against torture protected individuals from their own governments, that enforcement of this norm in cases under the ATS would not undermine U.S. foreign policy interests and that failure to entertain such cases could undermine U.S. credibility regarding international human rights and our ability to influence states with poor human rights records. Later the Second Circuit reversed and remanded the case for further proceedings. The Second Circuit held that “an act of torture committed by a state official against one held in detention violates established norms of the international law of human rights, and hence the law of nations.” As a result, the complaint had a proper basis for federal jurisdiction under the ATS. On remand, the defendant (Pena-Irala) took no further part in the case and thus defaulted. The district court then entered judgment against him and in favor of the father for $5,210,364 and in favor of the sister for $5,175,000. This case established many firsts. The ATS supports assertions of extraterritorial jurisdiction over events happening in other countries. International human rights norms are justiciable, i.e., they can be adjudicated by U.S. federal courts. The individual as victim and perpetrator is a proper subject of international law. A robust system of accountability for foreign human rights violations under the ATS is consistent with the national interest of the U.S. Thereafter for the next 25 years Filartiga was followed by other lower federal courts without any guidance from the U.S. Supreme Court, which will be the subject of another post. See Post: The Alien Tort Statute, 1789-1979 (Oct. 21, 2011). Filartiga v. Pena-Irala, 630 F.2d 876 (2d Cir. 1980). Id. ; Center for Constitutional Rights, Filartiga v. Pena-Irala,http:ccrjustice.org/ourcases/pastcases; Wikipedia, Filartiga v. Pena-Irala, http://en.eikipedia.org; William Aceves, The Anatomy of Torture: A Documentary History of Filartiga v. Pena-Irala (Brill; 2007); Richard Alan White, Breaking Silence: the Case That Changed the Face of Human Rights (Georgetown Univ. Press; Washington, D.C. 2004); HBO Docudrama, One Man’s War (1991). Filartiga v. Pena-Irala, 577 F. Supp. 860 (E.D.N.Y.1984). Twenty years later, the Filartigas had not collected anything on the judgment, but were still trying to do so. (Boustany, For a Sister, Court Fight Stirs Memories of Paraguay, Wash. Post (Apr. 2, 2004). Schaack, Read On! The Definitive Filartiga, IntLawGrrls (June 27, 2008).